Your budget may be small but your decorating ideas don’t have to be! Colorful accents breathe life into neutral furnishings in the living room. So adding a colorful throw pillow can bring life back into that outdated sofa — and for a few dollars, decorating a living room can be easy on the budget. Small decorating projects can freshen up your home and be easy on your pocket. Rather than spending a small fortune on expensive wallpaper, consider a DIY project with paint and a pretty stencil. Wall Stencils for painting is a great alternative to wallpaper. You can customize your DIY stencil projects with your favorite combination of paint colors and patterns — all for a fraction of the price of expensive wallpaper! Ever think about collecting? It only takes a few items to showcase and start a collection. Start with a handful of extraordinary originals or find less expensive replicas, then display your prized items on a shelf. Check your local Estate Sales. Most local papers or online classified list current estate sales. You can view pictures and descriptions of estate sales in your area. Here’s one of the writer’s favorites — turn a closet into a simple craft “room” or home office by covering the doors with pegboard and sliding a desk or table in the space. From simple room accents that transform your space on a budget without completing a full-scale remodel to painting a wall, giving your home a fresh look without breaking the bank does work! If you want to tackle bigger DIY projects, rethink your kitchen with remodeling ideas you can complete yourself. One of the first lessons of money management our parents taught us was to save for a rainy day. Life throws financial curve balls and it’s not IF, but rather when. If we’re not prepared for that strike from left field, the happy life we worked so hard to build, will be ripped to shreds. Not being able to sustain your lifestyle and pay your bills can be devastating! When going to the mailbox or managing your email becomes a tragic event, you have to get creative and pull yourself out of the hole you fell into. Asking yourself why didn’t you listen to your mother and head her advice to sock something away every payday into a “Rainy Day Fund,” will do absolutely nothing to get you out of your financial mess. If you ask this question and learn a financial lesson, then maybe you can grow from the ordeal. What exactly is a “rainy day?” The term is used when regular income is disrupted. 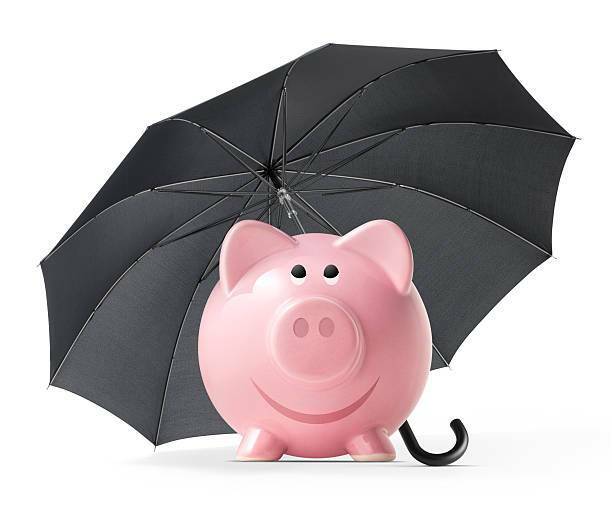 A rainy day or rainy day fund is a reserved amount of money to be used in times when regular income is disrupted or decreased in order for typical household expense to continue. A rainy day fund is referred to by financial experts as an “emergency fund.” So, how much should we save? Financial experts recommend that you should have “between three and nine” months of expenses saved in an emergency fund. For example, if you need $2,000 a month to live, there’s a big difference between saving $6,000 and $18,000. So what you should save is dependent on how comfortable your living expense is. Personal finance guru Suze Orman advises an eight-month emergency fund because that’s about how long it takes the average person to find a job. Having an emergency fund aka “rainy day fund” will keep you above water the next time you face an unexpected expense or job loss. Its most important purpose is to give you a lifeline and financial rescue in the event you lose your primary source of income. Remember, you’ll need an emergency fund that will see you through the worst possible situation. If you’re just starting out, you’re not alone—many Americans don’t have an extra $400 saved. Saving money every payday means sacrifice. You don’t always need to go out for lunch at work. Try eating a healthy lunch brought from home and stash the lunch money in your slush fund. Before you know it, that five dollar lunch ends up being a whopping $720 at the end of the year! Saving money will become a best practice financial habit. If you’re in your thirties, your main financial goals might be buying a home and saving for your kids’ education, but don’t neglect to build up an emergency fund. In order to save money means buying only those things which are necessary. Knowing you have a few dollars tucked away for a rainy day, will help you sleep well at night! Borrowing responsibly means borrowing only what you need. Although it’s tempting to add a few hundred to the principal, remember that extra amount will end up costing you a great deal more at the end of the loan period. Adding more interest to the principal can definitely keep you chained to the loan and seem like you will never see that final payment. Remember when you take out a loan either for personal or business expense here are 6 tips for being a responsible borrower. Start with a plan. 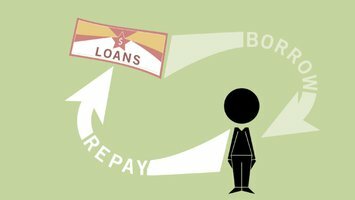 Being a responsible borrower often begins before you ever go to a financial institution for a loan. Use a loan calculator. There are plenty of free loan calculators out there. They can help you see how much the loan will cost you overall as well as give you an estimate of monthly, weekly, or daily payments. Know your debt-to-income ratio. This is your annual income to the debt you hold. Give yourself a financial cushion. Giving yourself some wiggle room will help when an unexpected expense comes along. Aim for at least 3 times of your monthly expenses, keeping in mind, this amount may not give you the required comfort. Borrow only when you need to. This is probably the most important tip. Only borrow what you need to satisfy the expense. You’ll be happy when you receive the paid in full note! Make your payments on time. Last, but not least, be sure to pay your loan payments on time. Depending on the type of loan you have, the length of time your payment is late determines the late fee. Some lending companies may even increase your APR as a penalty for making even a single late payment! If you have to borrow, keeping these six tips in mind will help you manage the added debt. Align your Budget with your Goals! 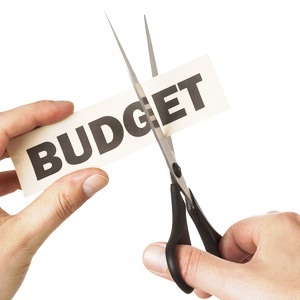 Sticking to a budget is hard and being realistic about your budget is even harder. The first step when creating your budget is to identify the amount of money you have coming in. Keeping an accurate account of all your money sources is important. Be sure to subtract your deductions for Social Security, taxes, 401(k) and any other spending account allocations that are deducted from your pay. Your final take-home pay or net income is the number to use when creating your budget. The next step is tracking and listing your expenses. Begin by listing all your regular or fixed monthly bills such as rent or mortgage, utilities, and car payments. These expenses are your must haves or “needs.” Next account for your variable expenses or “wants.” These expenses may change from month to months such as groceries, gas, and entertainment. This is an area where you might find some wiggle room to cut back. Experts say five percent of your spendable income (the net left over from after your fixed expense) should be applied to the miscellaneous category. This category requires a great deal of self-control. You need to spend wisely and not allow yourself to cheat. Small savings can add up to a lot of money, so don’t overlook the little stuff. You might be surprised at how much extra money you accumulate by making one minor adjustment at a time. Keep All Of Your Bills and Receipts Organized. Should I Get another Job? Are you having some trouble paying your bills? Stretching the budget every month has become an art form and barely being able to make ends meet has become the norm in this economy. So what do you do? For most of us, finding a second job is the last resort, but when faced with this decision and starting your search, you need to be flexible with yourself. Keep in mind the reason for the second job. Having a part-time job is a good way to supplement your income to pay off debt, or even come up with a little extra spending money. It’s a good idea to set a time frame and ask yourself, how long do I need to work this job to get back on financial track. Having an end date to work toward can give you that extra boost when you’re feeling discouraged. Narrow your search. Clearly defining your parameters can be incredibly helpful when looking for second jobs. By carefully the keywords, like “weekend” “evening” “freelance” “telecommute” and “part-time” really narrows the field. Look for online jobs where you can work from home and supplement your income. Freelance marketplace sites are a good way to generate some extra cash. Finally, if you’re looking for a second job in a restaurant or local store, going in person with a resume and a professional demeanor might be a successful way to get the job. Be sure to pick a slow time in the day so you can speak to someone in charge. The best part of finding a second job is the opportunity to build your network. You never know where your potential coworker will be in a few years. Are payday lenders all bad? The Cash Store Financial has been under fire for their unethical lending practices that have resulted in their loss of license under the Ontario government. After fighting in court for over a year they eventually gave up, tried an end run around the rules by swapping out their payday loans for something they claimed was a line of credit, only to get slapped by the Ontario government once again. With nowhere else to turn they fell back on creditor protection while they reorganize, which from the sound of it means they are simply going out of business. In the UK, Wonga has not only been hammered on by the media and the government for their business practices, but the actual Archbishop of Canterbury has weighed in on the situation, claiming they want to “compete them out of business.” Not a single day goes by without another news article talking about regulating the industry over their perceived abuses. While not technically a payday lender, they certainly claimed to be one. The difference being that once they got their hands on an applicant’s financial details they proceeded to drain their victims’ accounts, $30 at a time. The masterminds behind it, Sean C. Mulrooney and Odafe Stephen Ogaga, managed to bilk unsuspecting consumers out of approximately $5 million before they were shut down by the FTC. Another UK based lender, this one was actually forced to give up the payday loan business after fierce criticism from the public. Imagine my surprise when I came across this bit of news featuring a Canadian payday lender actually offering a bursary for students going into the financial industry. Setting aside the small bit of cognitive dissonance in a company who fundamentally must earn the bulk of its income from people do not have a financial education, it’s still nice to see some kind of positive news from that sector. You would think that other lenders would consider doing the same to rehabilitate their images. Instead of being known solely for gouging customers, if even a small percentage of their profits were redirected towards the public good it would surely make a difference. Except winning a large sum in a lottery draw or discovering a huge treasure, there are no shortcuts to becoming rich other than being disciplined. The key factor that determines how rich or poor you are is your ability to control your spending habits. If really want to be rich, you need to be moderate in the following areas. Control the Desires of Your Body. What your body doesn’t like most is work and if you remain idle, following the wishes of your body, you are never going to be rich. Be ready to work as hard as possible. Refrain from eating tasty but costly food articles. Before buying things, check whether they are worth their price. The more comfort you seek, the sooner you get poor. Every day, you will find a lot of new things offered for sale in the market and if you aren’t a rational consumer, you may be tempted to buy all those things mainly due to the way they are advertised or being persuaded by the salesman. Buying things which you don’t actually need is a sure way to waste your money. Everybody likes to have all good things but remember that those who want to save money buy only those things which are necessary for them. Stop daydreaming about becoming rich overnight. If you set a financial goal for yourself, ensure that it is attainable. Once the goal is set, work towards it with perseverance. You may think that luck will favor you one day but hard work and frugality are more result oriented than luck. Changing all your spending habits all of a sudden will be quite difficult. Start at one area where you spend money unnecessarily and move on to others once you become successful with the first one. Moderation and discipline in money matters will make you rich faster than you imagined. Even the most fuel- friendly car can cost hundreds of dollars in fuel expenses due to poor fuel management. These cars as well as conventional gas vehicles benefit from good fuel economy brought about by the best use of the cars’ features. For example, many drivers don’t bother turning on their cruise control. This can be especially important on highways or roads that are more or less straight for long stretches. Cruise control allows the car to figure out its own fuel needs, which is usually much less than what the driver thinks. If the road isn’t straight, the terrain can still be used to help ease down on fuel. Keep a steady rhythm to your car engine’s revolutions per minute, even if it goes up and down hills and tight curbs. This allow the fuel to be burned more efficiently without wasting anything during those turns. For the best results, don’t speed up and slow down too fast, especially in the city where open patches of road only end up for a few dozen meters at a time. There are also certain apps and websites that can tell drivers where the cheapest fuel is in their city. A difference of two cents per gallon can already help save up to fifty dollars a week if the driver is consistent with his fuel usage. A home renovation is anything but simple. Because of the planning and designing involved, the first estimate usually won’t be close to the actual cost of remodeling. One common mistake many homeowners make is they purchase too many appliances and ornaments at one time, some of which won’t actually be used at all. A careful remodeling plan can be the biggest difference between saving a few hundred dollars on the budget, or spending thousands of dollars over budget. The best way to start a remodeling plan is to prioritize areas or appliances that need to be redone. When looking at appliances, it is very important to think about how they will be used in all year round. For example, renovations might begin during the summer where an air conditioner might serve the biggest need, but come winter time, a heater will be much more appreciated. After the interior has been planned out, it’s a good idea to look outside. A home renovation is a good time to begin on a home garden, or to fix- up a dilapidated fence. 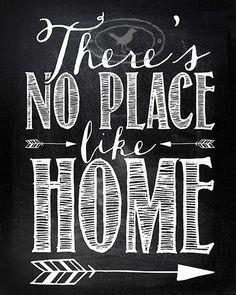 Remember, the home’s exterior is the first thing visitors will see, so it’s best not to skip this area. Finally, don’t skimp on the finishing touches. A few hundred dollars worth of paint or the right kind of picture frame can all add the special touch which can make a home go from looking good to looking great. Of course, it’s always important to consider the budget as even the best looking home won’t be worth much to a family without the lifestyle to support it. Almost all major appliance stores in the country today will offer the largest, most vivid color television with 1080p HD display and other bells and whistles that are sure to attract the most savvy tech consumer. The good news is that many of these TV sets are currently selling for around $500, which is far cheaper than what they were going for two or three years ago. The bad news is that you’ll have to wade through the salesman’s extended warranty pitch many, many times. It’s hard to say no to extended warranty, especially if the sales attendant keeps pressing and pressing until you just say yes just so he goes away. While these warranties might be useful for certain times in the future, they’re really just a way for the company to squeeze more money out of the customer. In most cases, extended warranties can cost up to half of the item that you’re buying. Experienced salesman won’t badger you into getting the warranty. Instead, they’ll try to guilt you into thinking that any malfunction in your TV set will cost more to repair without the warranty. This makes it easy to buy into the service just for your peace of mind. The best way to avoid unnecessary expenses would be to research thoroughly about your intended purchase, and see how other customers rate the appliance. They’re indication of how tough and long- lasting the appliance is will be a far better protection system than any unneeded warranty.